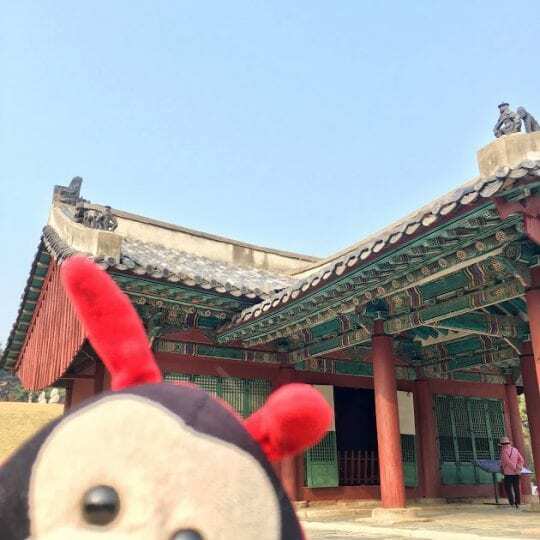 Travel Bug couldn’t believe just now many fascinating facts about Seoul he managed to find, but these are his three favourites. Coex, in Samseong-dong, is the largest underground mall in the whole world! This massive complex houses a convention centre, shops, restaurants, an aquarium and a rather amazing bookstore. The mall is located in the upmarket Gangnam district and Travel Bug had a lovely time there, eating kimchi and looking at the sky through the glass roof. Seoul is home to the world’s longest fountain bridge, which measures in at 1,140 metres long. The bridge has an impressive 10,000 LED nozzles, shooting out a rainbow of colourful water jets after dark. If you go to the 88 Highway after sunset, you can get a great view. Travel Bug loves a fountain but, because he’s not allowed to get wet, he had to watch the lights from a safe distance. Known locally as damson Tower, this special city landmark was opened to the public in 1980. It was the city’s first radio and TV tower. Visitors to Seoul consistently name the tower as their favourite attraction in the city. Travel Bug had lots of fun on the observation deck. He could see all of Seoul at one time and he didn’t know where to look first. Do you have any other fascinating facts about Seoul to share with the Travel Bug? I think the bookstore you are referring to in COEX is a library! Ok! I will tell Travel Bug…. Thanks for the clarification. It was beautiful!